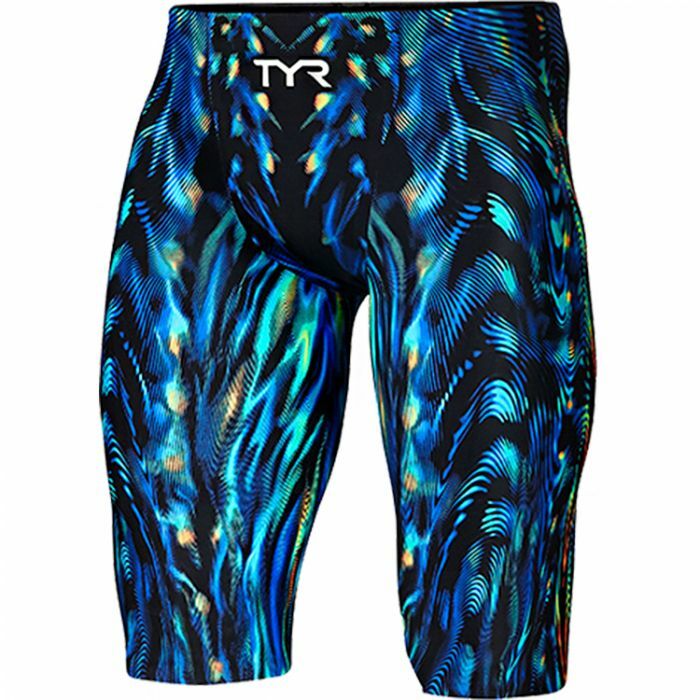 As the first and only technical suit in the industry to analyze drag from a microscopic perspective, the TYR Menâ€™s Venzoâ„¢ Genesis Jammer Swimsuit utilizes ultra smooth fiber to thread a frictionless, durable fabric. Designed with state-of-the-art Surface Lift Technologyâ„¢, the VZNLW6A prevents water from permeating its fabric, resulting in higher body position in the water. In addition, a patent pending taping and inner textile design known as the suitâ€™s Endo Compression Cageâ„¢ provides a shield of support for the abdominals, obliques and quadriceps. This cage not only creates a snapback effect in the water but also helps to increase distance per stroke. Working in tandem with this technology is the Venzoâ€™s Seamless Exo Shellâ„¢, a sleek construction geared toward streamlining body position.